Obama kick-started a cycle that moves ever farther left — even he now seems passé. 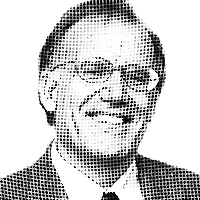 Conventional wisdom would warn Democrats that their surrender to pied pipers such as Alexandria Ocasio-Cortez, Ilhan Omar, Rashida Tlaib, Al Sharpton, Linda Sasour, and other assorted fakers, con artists, anti-Semites, and street actors would lead them all over the proverbial George McGovern and Walter Mondale cliff into the abyss. But such caution is unlikely for a variety of reasons.